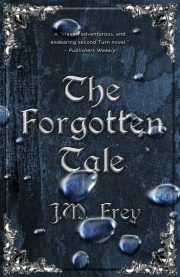 The Forgotten Tale is the second volume in J. M. Frey’s Accidental Turn series. 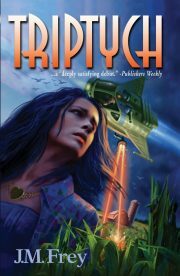 Once a supporting character in Elgar Reed’s deplorably written but popular fantasy series, spymaster Forsyth Turn escaped with his beloved Pip to Pip’s native Canada (which, as we all know, is nearly as happy as Denmark). 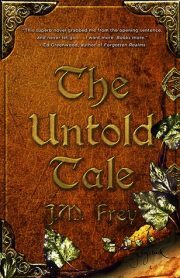 Content in his new life, husband to Pip, father to Alis, Forsyth has no intention of returning to his native Hain or even of maintaining contact with Reed. Alas, just because he is done with fantastic adventures in Reed’s poorly–thought-out land does not mean that Hain is done with Forsyth. Or with Forsyth’s family.